Here is a list of benefits that you can enjoy if you choose to use pop up banner for promoting your business. 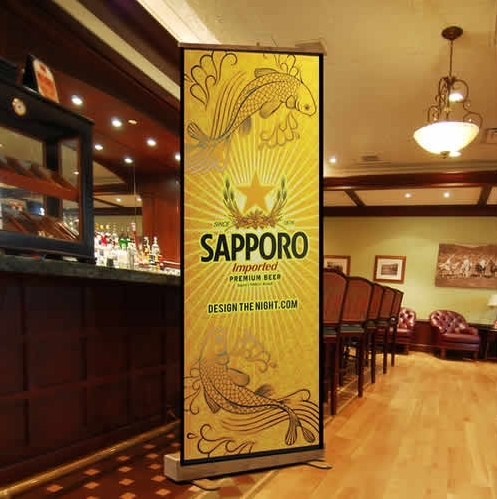 A pop-up banner stand is very easy to set-up. As the very name suggests, you simply have to pop the stands up and you are good to go. These work much like retractable banners where you need to pull the banner from its base and fit it on a telescope-like pole into place, and you are done with assembling it. The base is flat and the pole helps to provide a steady support to the banner stand. Pop up banners are very hardy. The printed vinyl that is used for printing is exceptionally durable. In fact, it is meant to last long. The ad’s base is also quite strong and provides extra support to the whole stand. The frames of most of these ads are a form of aluminum, which means that it is light for transporting and strong and steady as well when put on display. Pop up stands are also extremely easy to store, and do not take up much space wherever you choose to store it. It itself folds away into the base and the telescope-like pole is used for supporting the banner collapses and folds away without any hassle. Thanks to the light and compact nature of banner stands, it is very easy to transport them. It can be a great choice if you want to use it very often at trade shows, conferences, exhibitions, shopping malls, etc. They fit easily into a vehicle, and can also be carried by hand through from one part of a trade fair to the other. Whether it is in a trade fair or in your shop, space equals money, and you certainly won’t go for a banner that takes up too much floor space. Pop-up banners are high and narrow, thus, takes up small floor space. This allows you to advertise with more number of banners within a small space. This is a very big benefit of banner stands. Be it a conference, a trade fair or local show or concert, with a pop-up stand you can go a long way in conveying your message to the people you want. A pop up banner is indeed a very useful way of offline marketing. Choose these for your next outdoor campaign; you will surely benefit.